On this episode of Valley’s Gold, host, Ryan Jacobsen, explores two of the most overlooked items in the produce aisle – pomegranates and persimmons – and uncovers these hidden gems. Ryan begins the day in Delano with Paul Gill of Gill and Son Farms to watch the beautiful pomegranate fruit being picked from colorful, heavily-laden trees. 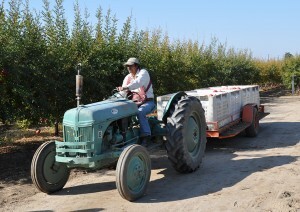 He finds out how pomegranates are grown and best harvested and how they get from the field to your table. Then, Ryan visits with Dave Loquaci in Madera and learns how to tell the difference between persimmons and how to make sure they are sweet to eat and cook with. A short trip down the road takes Ryan to the Papagni Winery for an in-depth lesson on how to best open a pomegranate with Brian and Nick Davis of Twin Pomegranates Wine. The twins talk about the making of pomegranate wine and then are joined by Demetrio Papagni who shares delicious samples of two of their favorite vintages. Over to the ValleyPBS kitchen where guest chef, K.C. 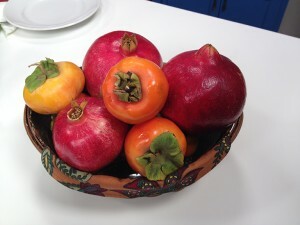 Pomering, of G Free Foodie whips up pomegranate and persimmon specialties perfect for holiday dining. It’s a very festive celebration – and all a part of our Valley’s Gold. A Pomegranate a Day – The name “pomegranate” derives from the Middle French “pomme garnete” – literally “seeded apple.” It is also sometimes referred to as a Chinese apple. Many scholars believe that the forbidden – yet irresistible – fruit in which Eve indulged within the Garden of Eden was actually a pomegranate (and not an apple). Persimmons can be classified into two general categories: those that bear astringent fruit until they are soft ripe and those that bear nonastringent fruits. Within each of these categories, there are cultivars whose fruits are influenced by pollination (pollination variant) and cultivars whose fruits are unaffected by pollination (pollination constant). Actually, it is the seeds, not pollination per se, that influences the fruit. 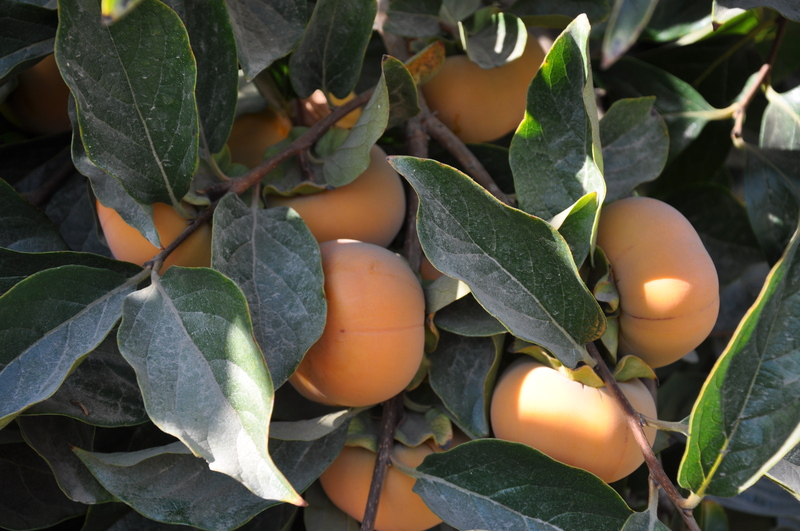 An astringent cultivar must be jelly soft before it is fit to eat, and such cultivars are best adapted to cooler regions where persimmons can be grown. The flesh color of pollination-constant astringent cultivars is not influenced by pollination. Pollination-variant astringent cultivars have dark flesh around the seeds when pollinated.